US boardroom title CIO Review Magazine has named Aspect, the cloud-based CTRM vendor, as a top player in the global risk management field for 2016. In an interview with Aspect CIO Chetna Bhatia, the magazine highlights the company’s disruptive impact in the CTRM marketplace, undermining the legacy on-premises enterprise software model with delivery from the cloud for much faster deployments, far less reliance on in-house IT infrastructure and support, continuous updates and improvements at no extra cost and simple per-user subscription pricing. 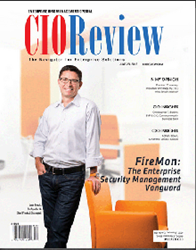 The complete interview can be viewed here http://risk-management.cioreview.com/vendor/2016/aspect, or via PDF http://www.aspectenterprise.com/wp-content/uploads/CIOReview_risk.pdf . The interview also notes that while most alternative CTRM solutions provide end-of-day calculation of risk, Aspect’s flagship product AspectCTRM makes real-time calculations of profit and loss, exposure and Value-at-Risk (Var). It includes modules that enable trading houses to make informed decisions based on second-by-second market data and analytics, and manage trades through the supply chain, with support for oil, petroleum products, metals, biofuels, coal, petrochemicals and agricultural products. Aspect’s class-leading functionality, coupled with its speed of deployment and lower costs, have seen it move up from signing mid-tier players to winning business with global heavyweights like the Indian refining and marketing subsidiary Essar Oil Limited, which has rolled out AspectCTRM to help optimize European refinery-related trading, supply and risk management activities. Other major-league customers include Sumitomo, Mitsubishi, Trafigura, Hess, Aegean and Klesch to name a few. In 2015 Aspect grew overall sales by 71% over the previous year and the company has recently reported the most successful first half year in its 16-year history, signing 8 new customers throughout the world, from Dubai, Netherlands, U.S., Colombia and Brazil. Products supported in the latest deals include iron ore, refined precious and base metals, concentrates, coal and crude oil. This supports findings in the 2016 Energy Risk Software Ranking Report where Aspect was ranked #1 for coal trading, and among the top 5 solutions for oil trading and market risk. Aspect is a leading global provider of multi-commodity trade, risk and operations management applications delivered Software-as-a-Service (SaaS) in the cloud. With almost 500 customers in 90 countries, it’s one of the fastest growing providers with rapid deployment, affordable subscriptions, and immediate ROI for all size companies. Solutions include AspectCTRM®, a full-featured commodity trading and risk management enterprise suite for front, middle and back office. It’s available in three editions: Lite, Standard and Enterprise, expanding in functionality according to the needs and budgets of clients. Aspect is the only ETRM/CTRM solutions provider with market data and analytics tools delivered with its trade and risk functions on the same platform. This provides users with a seamless packaged solution beginning with pre-trade pricing analysis and market assessments via AspectDSC. Aspect’s solutions are available on desktop, tablets and mobile devices and through its new Aspect Partner Program (APP).